Google+ is a fastest growing social network site provided by Google. Currently it has 235 million active users from around the World. 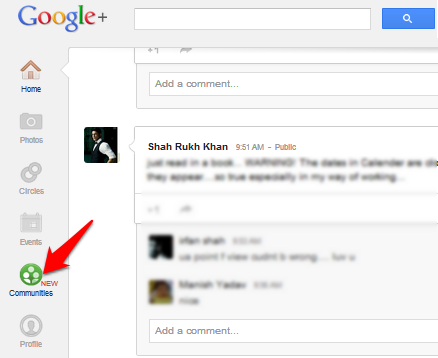 Now Google+ rolling out a new feature called Google+ Community, it works like Facebook groups. With Google+ community you can share your thoughts for certain group of peoples and make hangouts with them. 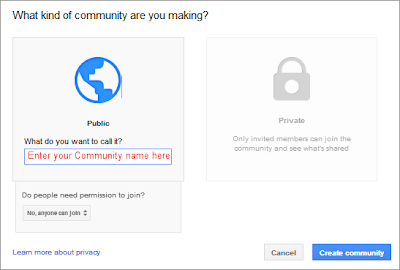 Select your privacy options and enter your community name again click on Create community button. 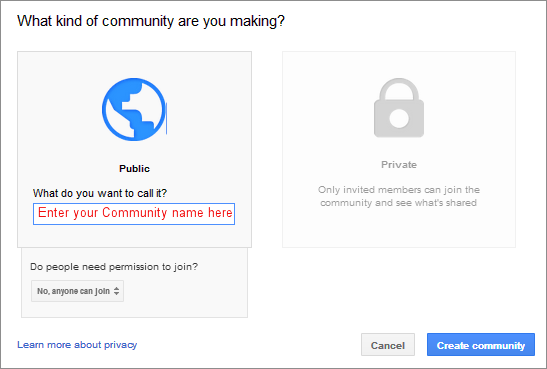 Now your Community has been created, then modify your community page with your logo, description and more. Finally click on Done editing and invite your friends to join with your Community. 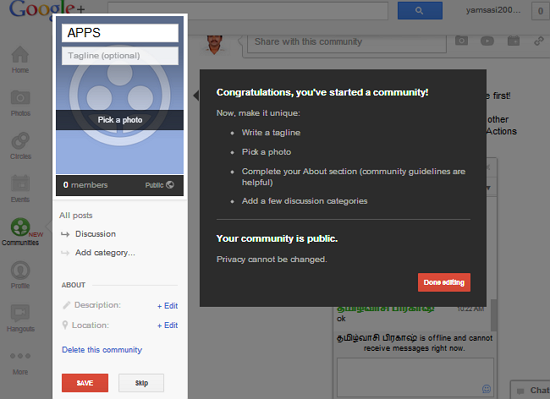 That's all your community page created and share your updates on your Google+ Community.